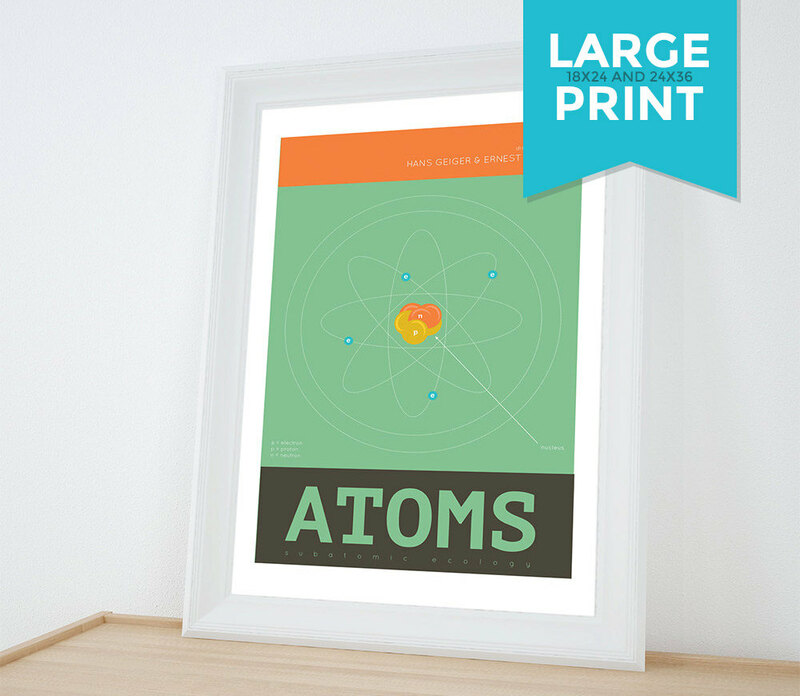 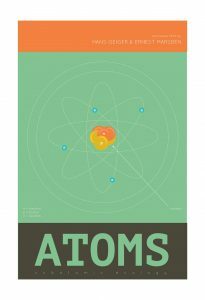 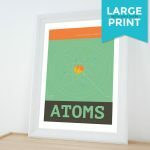 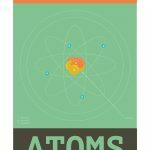 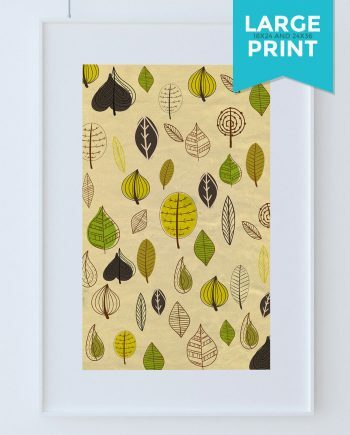 Giclee science print featuring minimalist subatomic ecology featuring atoms. Perfect for the classic minimalist textbook aesthetic. 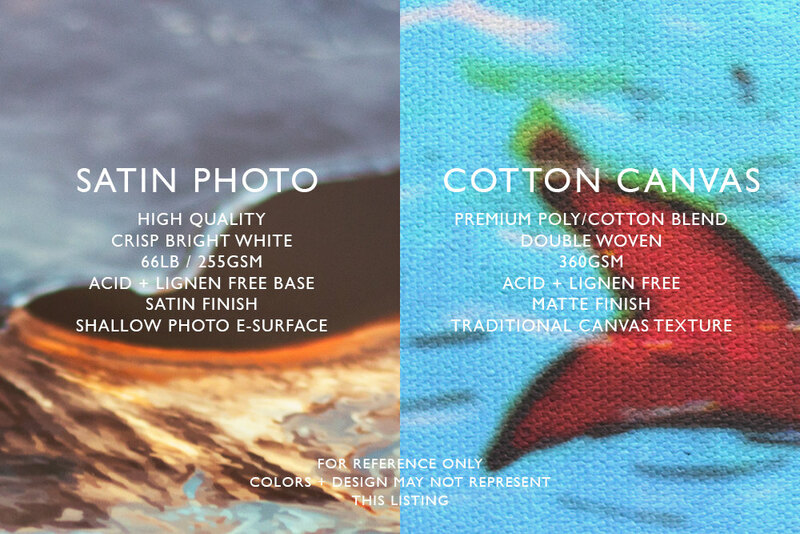 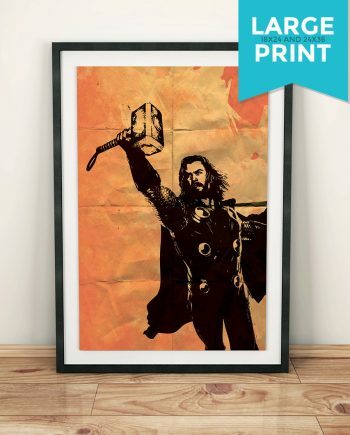 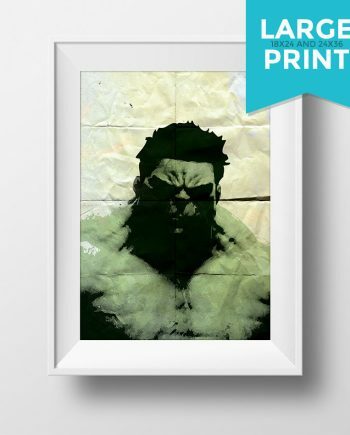 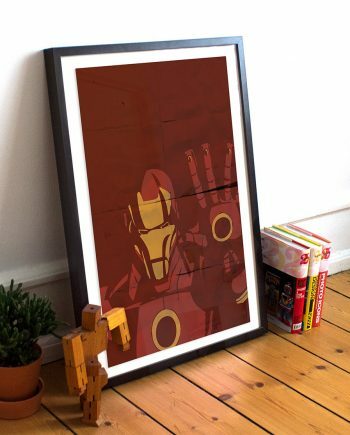 Fitting for your living space, office, kids room, or dare we say, “man cave”.